Set on the rhythm of a world stage…..
Shakespeare aptly captures the essence of life’s journey and the various roles played by each one of us in our life time. One such brilliant and excellent role played by our celebrated lady, Madam Chuan Teik Mei was staged here in ACS. Madam Chuan’s immense contributions to ACS is indeed immeasurable, a rich and colourful legacy that shaped the history and destiny of our school, the ACS that we now enjoy. Where did it all begin? Let’s reminisce together the long and windy road, often times laden with obstacles that Madam Chuan had patiently journeyed for 34 years and 8 months. Madam Chuan Teik Mei was born and bred in Ipoh, Perak, in a family of 3 siblings and parents. From a very young age, her parents had instilled in their children the importance of education and deep values in life. For this reason they had mission school education. 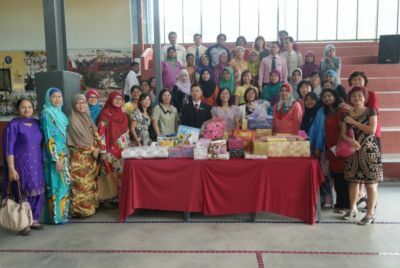 She received her entire education, 6 years of primary and 7 years of secondary education at the Methodist Girls School (MGS), in Ipoh, Perak. 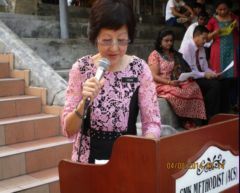 Added with 34 years and 8 months at SMK Methodist ACS, Seremban, she is indeed an unchallenged feat and an all-time record of true Methodist alumni. She began her career in the teaching profession with her first and only other posting in her entire teaching career to a school in Kuala Kangsar where she taught Mathematics. However, her service there was a short stint of only 7 months as marriage changed her destiny forever. Heading south to Negeri Sembilan in 1980 with her husband, the new bride settled in Seremban, a place totally foreign to her as she neither knew anyone nor had any friends. 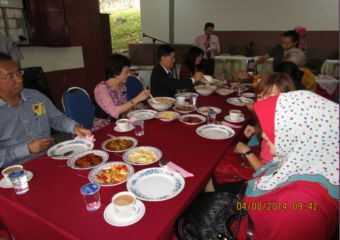 Adding to her misery and adaption to a new place, Madam Chuan was posted to a school in Kuala Lumpur and not Seremban. 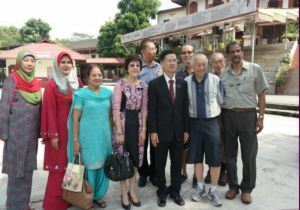 But call it luck or fate or the Grace of God, at that time of her transfer, the Anglo Chinese School, Seremban, our school as it was then known, was in critical need of a General Science teacher. Being a Science graduate, the Education Department Negeri Sembilan, duly notified her of this vacancy and that she could be re-posted here on condition that she taught General Science. 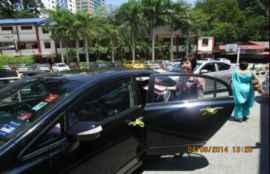 It was too good a bargain and without hesitation, Madam Chuan accepted the offer and thus began an illustrious journey in ACS. Within a few years here, she was appointed the Panel Head of Science and her responsibilities increased. This included delegating, managing and maintenance of the science laboratories, purchasing and drawing up stock inventories, setting up rules and regulations and other safety measures for the school science laboratories. In the year 2000, Madam Chuan was promoted as the Head of Mathematics and Science Department and undertook all the duties required of the Head of Department, including Academic and Co-Curricular activities pertaining to Mathematics and Science. 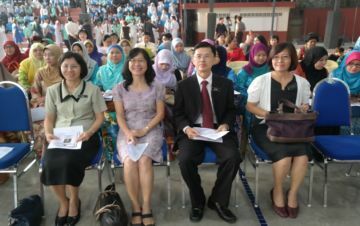 Madam Chuan’s upward mobility of the success ladder remained progressively constant and in 2004, she was again promoted and this time as the Senior Assistant of Students’ Affairs. She assumed this position until her final promotion in 2008 as the Senior Assistant 1 which she has held until her retirement today. Her numerous promotions make Madam Chuan an exemplary role model, that in life, we do not remain static but move progressively to higher levels and end our journey more gloriously from how we first started. 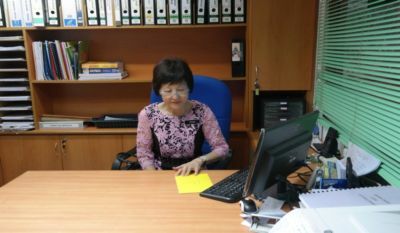 As the Senior Assistant 1 and also as the Academic Head, Madam Chuan’s immediate task was to meticulously plan and strategize ways to upgrade the academic benchmark of the school. 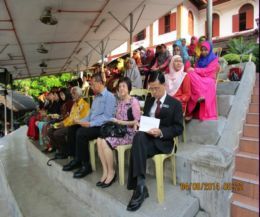 She initiated the SPM/PMR/PT3 programmes whereby teachers within each panel prepared worksheets on topics specified and delegated by their respective panel heads. Many teachers have found these programmes to be a productive source of revision, relieving them from the hassle of outsourcing revision materials for students. Reflecting back at her own rich and colourful education in post- independent Malaya which was still very much British influenced, Madam Chuan thought seriously of the numerous students from classes like the Usaha, Jujur and Ikhlas going through the rhythm of school life without any recognition nor purpose. Hence, she, together with the Principal introduced and innovated little mini programmes which involved these academically weak students. 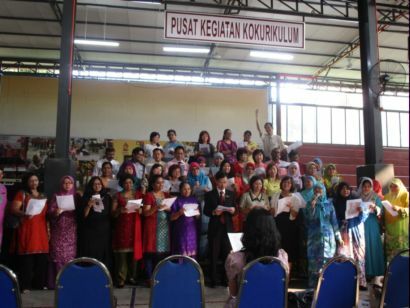 Hence, the poetry recitation and storytelling competitions for both the Bahasa Melayu and English Panels were introduced. She also initiated classroom spelling, synonyms and antonym competitions, mini Art and Craft exhibition, photography and Geography displays, Science and Mathematics exhibitions and competitions. Students took great pride and ownership of their work and efforts. Madam Chuan also ensured that every winner was awarded some kind of prize regardless of its cost, even as much as RM5.00 per winner. 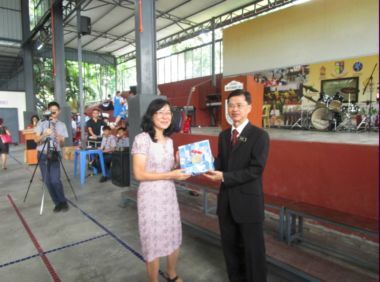 She felt fulfilled and had a sense of pride seeing the beaming faces of students when they queued up to receive their prizes during the school assembly. During her tenure in ACS, Madam Chuan was accorded the Excellence Service Award in 1997 and in 2007 she was awarded again but this time it was directly from the Ministry of Education. In 2012 she was awarded the Excellence Service Award and a promotion from the Ministry of Education, both of which for the DG 52 scale. In a more pensive tone, Madam Chuan did express the heavy price of leadership. Unknown to many of us, it had been a lonely and frightening journey for her. Many a time, decisions had to be made that seemed unfavourable to some as it was impossible to please everyone when delegating and discharging duties. In the process she has been grossly misunderstood, losing some friends along the way. But risking it all, Madam Chuan reinforced just one point…. The job needs to be done and done excellently. Madam Chuan has been known for her uncompromising benchmark for excellence. A woman of precision, she analyses examination results right to the second decimal point and is able to spot a missing comma, a full-stop or even a grammatically incorrect sentence immediately. She is also a fashion statement in ACS for her excellent dress taste which portrays sheer elegance, feminity and modesty whilst clinging to conservative hemlines. 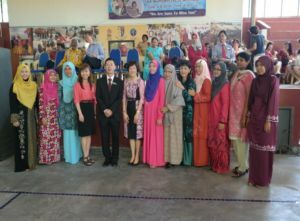 Madam Chuan’s retirement makes her no less relevant. As she closes this chapter of her journey in ACS, a new page opens in the new dawn. But to add colour and radiance to my sunset sky. Thus are the words of the great nobel laureate Rabindranath Tagore, who, in his classic epic ‘Gitanjali’, describes the friendship built in one’s youth as comparable to clouds carrying rain and storm in the turbulence and immaturity of youth. And he adds, that a lasting friendship built in the twilight years of one’s life, is comparable to a colourful and radiant sunset in all its brilliance and glory. Thus is our friendship with Miss Ng Mui Ching, built not in the turbulent years of youth but in profound maturity of adulthood. For most of us, our personal encounter with Miss Ng Mui Ching began here in ACS. Words can never adequately describe the bond of friendship built with someone precious like Miss Ng Mui Ching. Our profound memories of her include working alongside her in multi-disciplinary tasks. Of hairstyles, or jewellery or fine clothes. And in the sight of GOD. 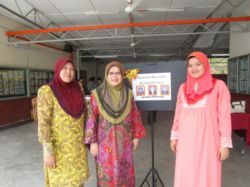 On 15 July 2014, the ACS staff bade farewell to Madam Zalilah binti Nordin, Madam Nazariah binti Sulaiman and Madam Norliza binti Said who were transferred to other schools. ACS expresses its gratitude to them for their service. Madam See Bee Ean as the new Senior Assistant 1 of SMK Methodist (ACS) Seremban. 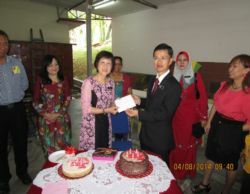 Prior to her transfer here, Madam See taught at SMK Tunku Kurshiah, Kuala Pilah for 29 years and 4 months where she also held the position of Senior Assistant 1 for 19 years. We are indeed privileged to have her in ACS and we hope that her wide experience and expertise will help boost the academic achievements of the school to greater heights. Madam Nerehan binti Maarof and Madam Zarah binti Isa into the ACS clerical staff beginning 1 September 2014.